By combining multiple server's processing power, reliable storage hardware, and implementing our proprietary file system, we are able to remove the bottlenecks of traditional DAS, NAS, or SAN solutions in the market. Through our many years of working with clients, our R&D engineers have created a system that is not only guaranteed to beat the competition, but to also provide an easy to use, highly reliable system. This allows you to increase both performance and capacity at the lowest dollar to terabyte ratio- guaranteed. Proven proprietary file system - Eliminates performance bottleneck by removing traditional SAN controllers and NAS gateways. High performance - A 2PB rack of standard servers with SATA disks and dual 10GbE can deliver 18GB/ps throughput. Easy scalability - From 3 nodes of 36TB to 300PB in a single volume. Reliable File-level RAID - Enables 80% utilization, data recovery time is 1/10th of traditional RAID; recovering 3TB in 30 minutes. Self-monitoring mechanism - proactively singles out inactive hardware to provide high data availability. Single log-on page for simple management - One IT staff at part-time can manage petabyte levels of storage. 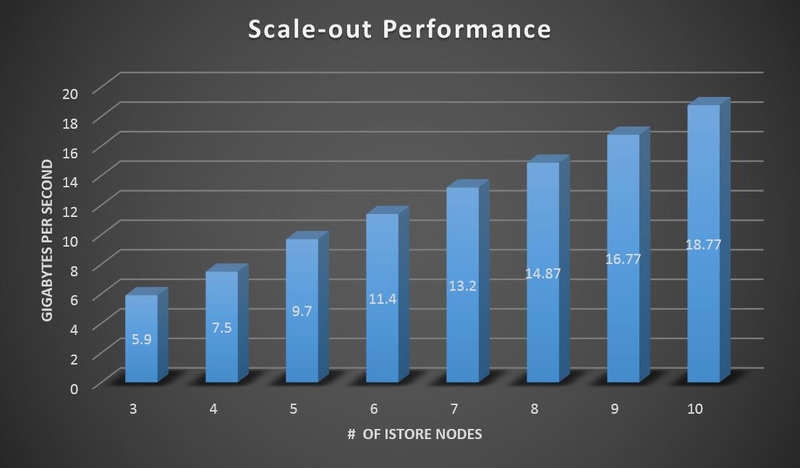 Aggregated Performance - Efficient and comprehensive load balancing through data striping distribution within the nodes, fully utilizes the performance of hardware and network ensuring the highest IO throughput possible. Scalability - Supports non-destructive, dynamic expansion equaling zero downtime. In just a few clicks add a node to your production system- while it is running. Global Namespace - Global namespace allows all application servers access to the same directories and folders. The SCALA Scale-Out Solution provides a global namespace to all the application servers for easy management in a single pane. Looking for an all flash array system? Look no further because Sans Digital has you covered. Sans Digital's all-flash storage arrays is the future of direct attached storage and is quickly replacing spinning disk drives. As the cost of SSD declines, more and more users are making the switch and are already seeing a reduced TCO compared to traditional disk-based solutions in terms of performance and overall reliability. Compared to spinning disk drives, flash storage allows data to be processed and replicated more efficiently than spinning disk solutions and the small form factor allows users to save rack space in data centers where space is valuable. Furthermore, an all-flash storage array consume less energy overall leaving users with a smaller carbon foot print. Sans Digital is ready for your all-flash storage needs, contact us today to learn more. All-flash Array Rackmount Enclosures for SSD. Choose from 8-bay desktop tower or 1U 8-bay to 2U 24-bay rackmount enclosures. Supports both 12G/6G SAS or SATA SSD for highest performance possible. All-flash arrays connections including SAS Expander, 10GbEthernet, and Fibre Channel technology able to provide up to 48GB/s bandwidth for high performance application and high expandability. Low power consumption & Low heat production. Windows, MAC and Linux support, as well as virtualize environment in VMware, Hyper-V and Citrix.